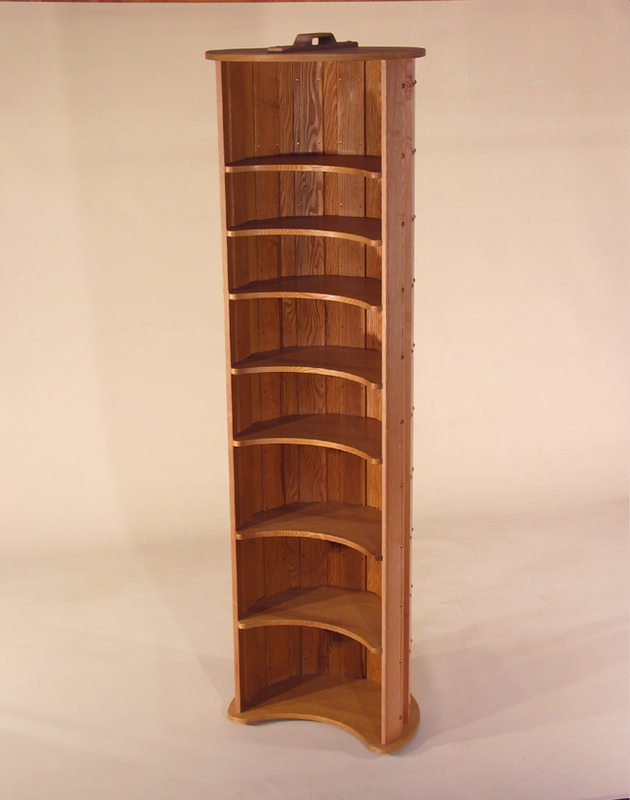 A very tall slim bookcase which holds a lot of books with a small footprint. Its copper riveted round back makes an attractive column feature. Photographed in ash. In stock in cedar. 7’4.5″ high x 2′ (60cm) diameter. To commission the dimensions are variable.